If a skin folder doesn't exist for a plane, where can I find the correct designation for the plane in order to link the skin folder? the first part in the aircraft line. You know Kevin, even the sun has spots! So dont worry we´ve all been there! 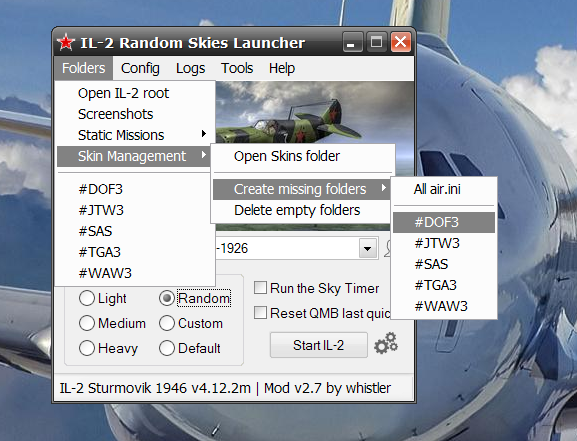 The Random Skies mod (the Launcher to be precise) can automatically create all missing skin folders for you.